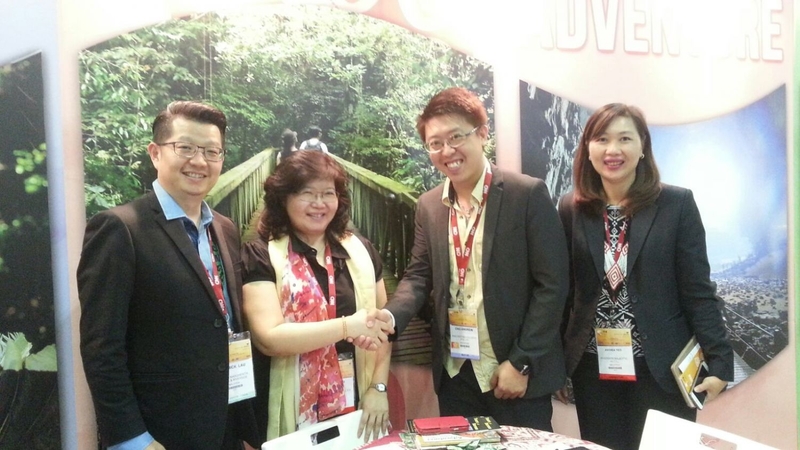 Singapore, Friday: Sarawak’s participation at the ITB Asia 2015 held at the Marina Bay Sands here have been encouraging with participating agents and hoteliers receiving confirmed booking from Singapore and other markets. We are pleased with our participation and we have been working hard to source for partners introducing the destination and its rich product experiences, the Acting General Manager for Grand Margherita Hotel, Patrick Lau said. 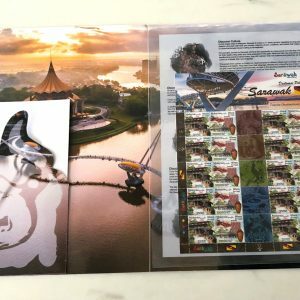 He was particularly impressed with his “catch for the day” when local Singapore based agent, Fascinating Holidays which was able to confirm a group of 100 Singaporeans who will be heading to Kuching early next year for a four days three night tour. 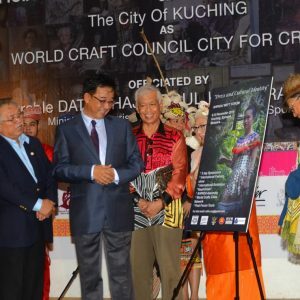 Working with one of Kuching’s premier agent, CPH Travel and Tours, Lau said among the highlights proposed for the group are the Damai and city tours and the cultural experiences in and around Kuching. Meanwhile, Lau also disclosed that a Russian leisure group was looking forward to their holidays in Kuching next year and adding that “it is almost secured business deal”. Noting that Russia may not be Sarawak’s focus markets, he said the Russian tour proposal was specifically for nature tourism and Sarawak was their first choice destination. 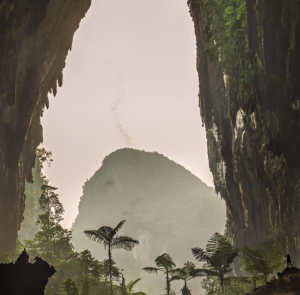 Meanwhile, Wilson Chiam, the Managing Director of Miri based Brighton Tours was optimistic in the Sarawak’s marketing direction in the China markets with enquiries on nature tourism particularly the Mulu National Park. 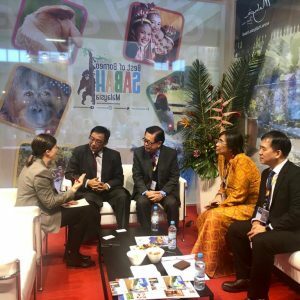 “We had series of business engagement with several China-based Online Travel Agents (OTAs) aggressively pushing nature and eco-tourism and are in search for partners at this travel fair this time”, he enthused. He expressed optimism on the business deal which he expect to be realised by early next year with series groups and Free Independent Travellers (FITs) coming in to Sarawak to have their travel dream realised. Sarawak is represented by five hoteliers and six travel agents including one each from Sibu and Miri in this premier regional travel exchange which is expected to close its curtain this evening. 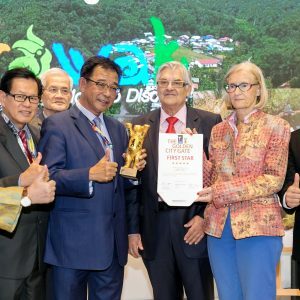 Sarawak Tourism Board’s Marketing Manager, Gustino Basuan said the Board was actively featuring “Adventure in Conservation” as its key selling point for its tourism promotion at this eighth edition of ITB Asia. We had interest from agents from our focus and also from markets including Russia, Turkey, Philippines and the United States, he added. 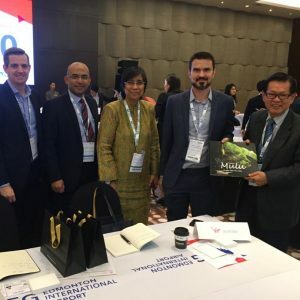 ITB Asia is organised by Messe Berlin (Singapore) Pte Ltd in cooperation with Singapore Tourism Board that enables tourism partners to gain deeper insights into the Asian travel network with business networking sessions with partners from the region. This annual travel and tourism business meeting is a renowned trade event in the region that contribute to the development of global tourism and in the advancement of the tourism sector in Asia and the Pacific. The event featured more than 500 exhibiting companies from Asia Pacific region with 8,000 trade attendees from 90 countries from Europe, Middle East, USA and Africa. Picture shows Hannah Choo of CPH Travel with Andrew Ong of Fascinating Holidays after the close of the business deal. Seen at left is Lau and at right is Grand Margherita Hotel’s Director of Sales, Anthea Yeo.